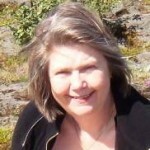 Sigrún Gunnarsdóttir is the teacher at the Healing School. She is a very experienced trance healer and medium. A reading always provides personal information and guidance and the recipient will receive what they need to hear during the reading. Guidance from the spiritual guides who work with Sigrún in trance healing work is also very often given. Sigrún also works with Tarot Cards, however, nowadays her work with the Tarot is mostly in teaching. A Tarot Seminar is held as part of The Healing School´s program every Autumn.